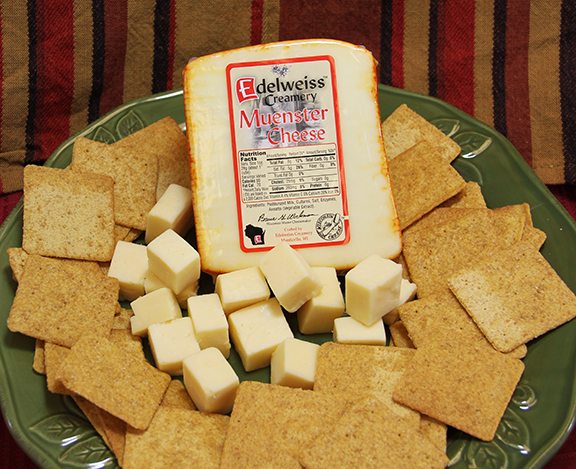 Muenster is a smooth, moist, soft textured cheese. It is excellent for melting and can be used in casseroles, in grilled cheese and is delicious on top of pizza! Also great as a snack and pairs well with beer. Mild when young, mellows with age. Ideal for table, slicing, and melting. Shred over hot vegetables or steamed rice. Try our Muenster Cheese in this delicious Italian Chicken recipe.